Mukono District is estimated to have over 120,000 AIDS orphans. The issues facing these orphans are grave and usually have lead to a continued cycle of poverty and HIV infection. Single parent households often do not have the income to provide for the care of children. Double orphans, or those who have lost both parents, always face new home environments with a loss of support and affection. This leaves orphans at a greater risk of abuse and exploitation, as they are often used as a form of free labor. Additionally, some children have been left in the care of their eldest sibling, with no adult to care for them. The Children in child-headed households are often unable to provide for the basic needs of their siblings and struggle for food, shelter and the ability to attend school. 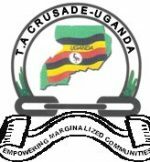 T.A-CRUSADE- UGANDA with the help of friends and charities like you supports these Orphans and other Vulnerable Children through providing them with scholastic materials and other basic requirement. As a small organisation, we have very limited resources yet the need around us is so much. We welcome all to support this cause.